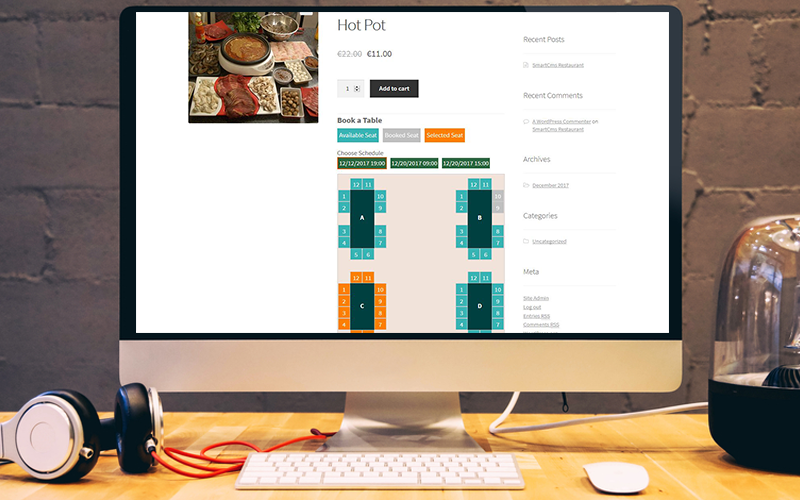 An excellent plugin for your solution, it suitable for business type restaurant, bar, event etc. 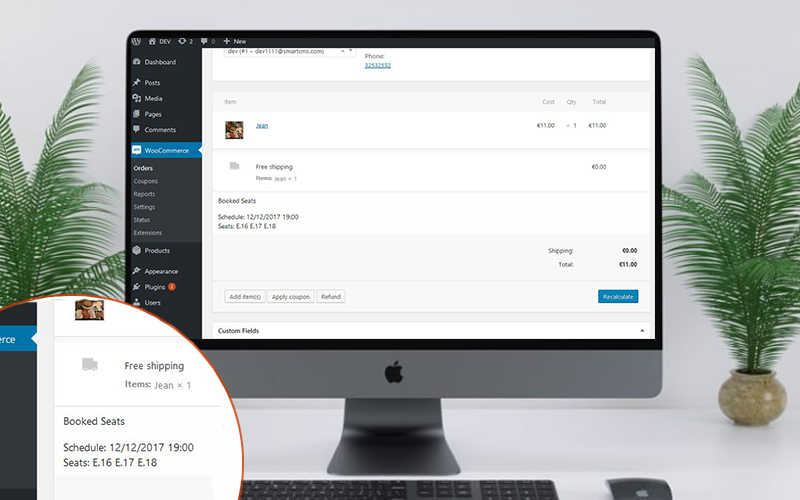 It can working for WordPress post and WooCommerce product/cart/order. 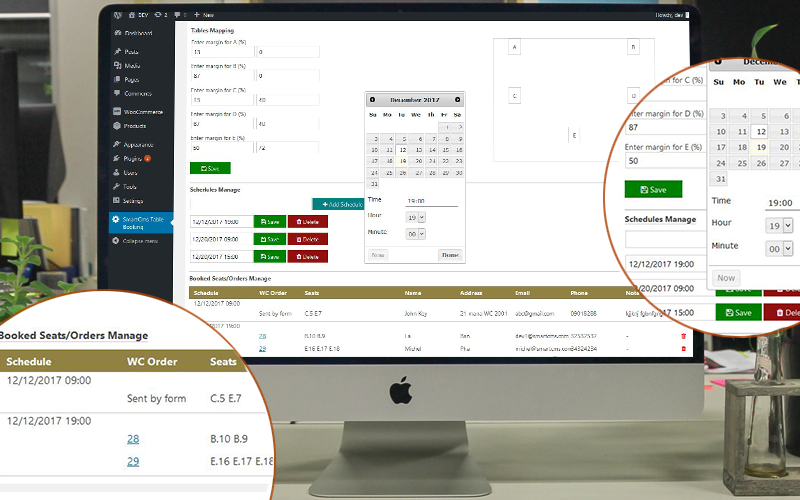 Allows customers to reservate seats or tables with schedule, it also show the booked seats. 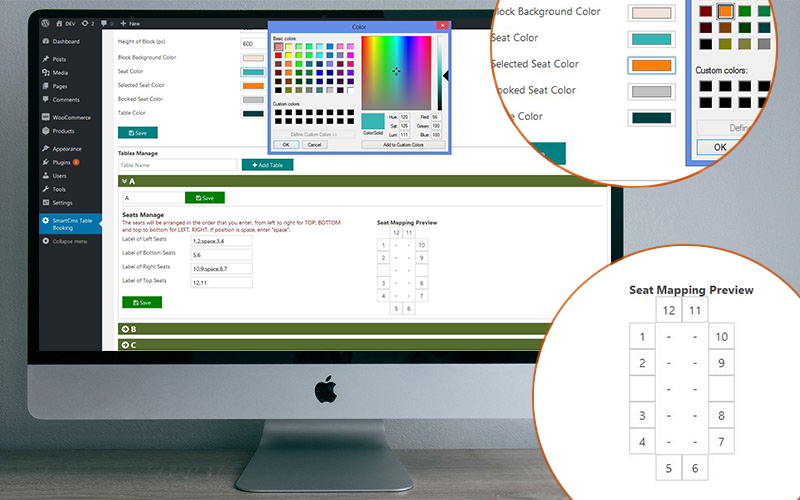 Admin can choose to display the booking function on the WooCommerce product page and checkout page, and configure style for block of tables as well as choose color for seat types and table. Admin can manage tables with name of table and seats mapping for table, and tables mapping for block of table. Admin can add schedules with date time picker jQuery, edit and delete them. The booking seats and tables will can base on schedules. The booked seats will be manage, admin can see them when customers reservate seats and tables via WordPress or WooCommecer order, and can delete them for booking again. 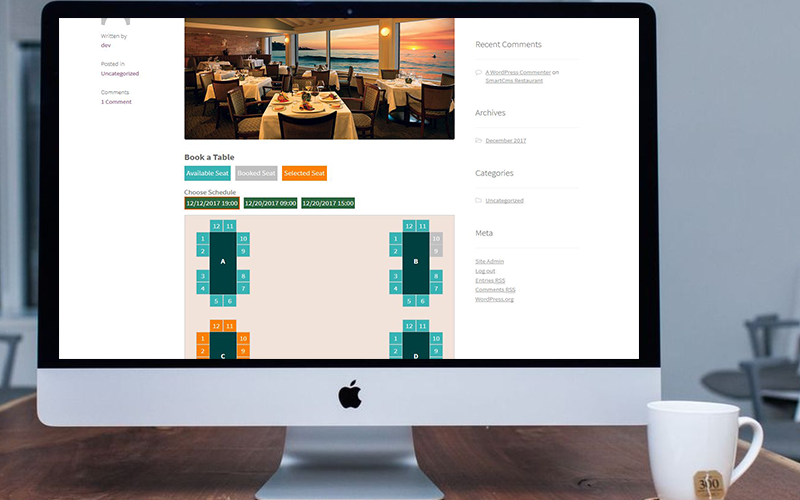 Admin can create a WordPress post with shortcode to show simple booking table, customers can reservate seats or tables then fill in form and submit, an email will be send to admin, and the booked seats and tables will also show in Booked Seats Manage. 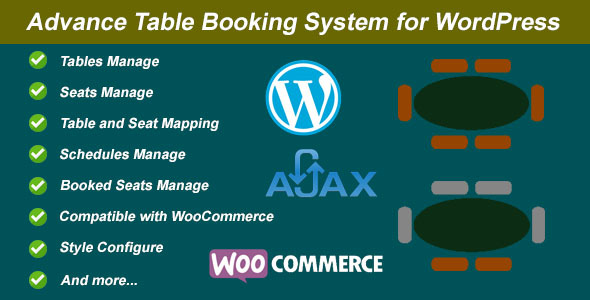 If admin choose to display the booking function on the WooCommerce, table booking will show on product page, customers can reservate seats or table then add product to cart, and when complete order, the booked seats and tables will show in Booked Seats Manage and WooCommerce order edit page. Very flexible and powerful, really is a utility for your website, this function will bring high revenue and attract customers.